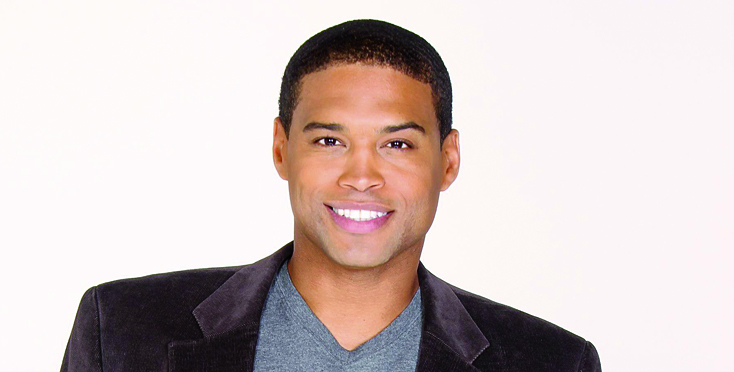 Too Close For Comfort: When his TV mom, Jennifer Gareis, suggested a possible romance between her Donna and Marcus’s adoptive brother Carter, played by Lawrence Saint-Victor, Battle’s Twitter followers — and the actor himself — went wild. “Marcus loves his brother, but His Mama is and will always be number 1. He couldn’t let that be!! NEVER,” Battle tweeted. Friends, Indeed: Battle has kept in touch with Kim Matula (ex-Hope, l.) and Jacqueline MacInnes Wood (Steffy), here at B&B’s 30th anniversary bash in 2017. They Were Family: When last seen on B&B in 2013, Marcus, wife Dayzee (Kristolyn Lloyd), and baby Rosie relocated to South Africa for his job with Forrester International. School Days: Graduated from the University of Texas, where he majored in kinesiology. Upon graduation, he was a substitute teacher before moving to L.A. to pursue acting. Being Social: Follow him @Texas1Battle on Twitter and @texas1battle on Instagram.